Surely, many of you remember that first day back at school when all your classmates shared their holiday experiences. Trips to some fun destinations, family time, or the unforgettable long afternoons spent in the pool, are just some of the events and stories told. Now that the return to school is approaching, we are sure that children who are lucky enough to spend their summer days at GF Victoria ***** GL, will have a myriad of memories and anecdotes to share. Distinction and luxury are concepts that are perfectly compatible with family trips and the definitive proof is all the special features that our guests can discover during their holidays. Is there anything more exciting than a last-minute break to finish off the summer in style? September may be the perfect time for your family holiday. The excellent temperatures offered by the south of Tenerife are ideal to enjoy a few days of sun and fun in one of the most exclusive establishments in the Adeje area. The true essence of our hotel is defined by the families who come to visit us, from all points of the planet, specifically to enjoy the exclusive services we offer. This exclusivity can be attributed to many factors, including our commitment to engaging in tourism in the most sustainable and responsible way. At GF Hoteles we like to involve guests, so they can participate in some fun, socially- responsible actions of great educational value. The youngsters are the main protagonists in these games and workshops, which create memorable experiences to share with their classmates on their return to school. 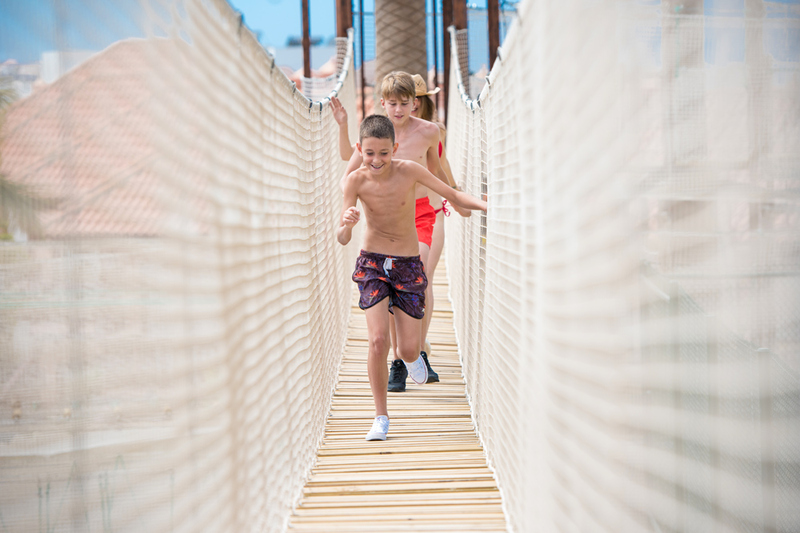 Few establishments in Tenerife can boast of an offer as varied as that of GF Victoria ***** GL, with attractive and surprising propositions such as our own water park, a surf pool unique in the Canary Islands, an adventure zone with competitive activities, tree houses, zip lines and climbing wall and, of course, activities that encourage stimulation and learning. And to give parents time to rest and discover more of the hotel facilities, we offer our Mini-Club, suitable for children from 10 months to 12 years old, where the little ones can discover a world of colour through fun games, songs and stories. Friendships are frequently forged between the children who visit our hotel. 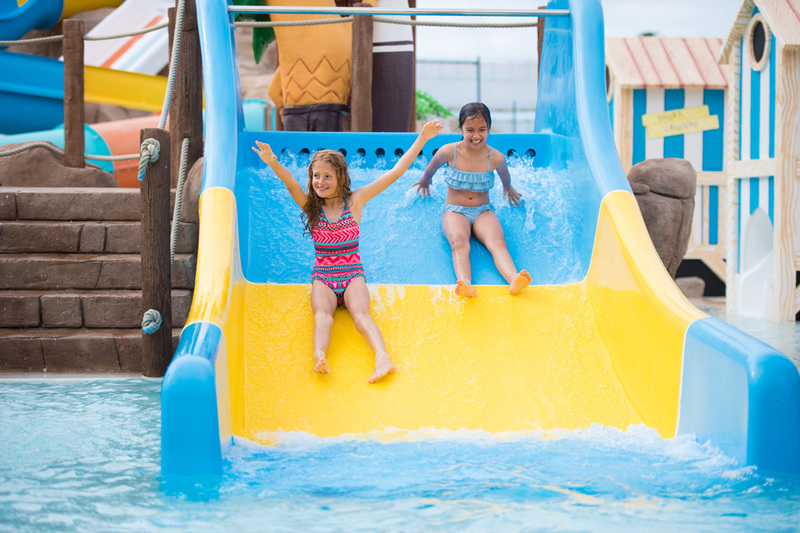 Family holidays allow them to meet other children of all nationalities and share moments together in our swimming pools and entertainment areas. They can also enjoy the company of Gofi, our friendly GF Hoteles mascot, who we are sure will make them smile even more during their stay. Of course, the youngest guests will also have the opportunity to discover more about the responsible values that GF Victoria ***** GL wishes to promote, with learning sessions about healthy eating and recycling methods. 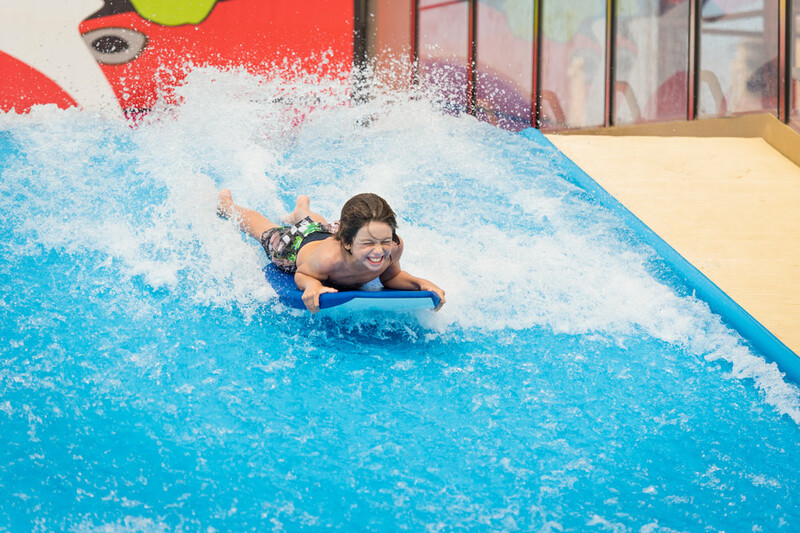 A perfect option to combine education and fun before going back to school. This entry was posted in Actividades, Hotel, Ocio. Bookmark the permalink.